All of these approximately 50 essays, reviews and prose pieces, produced over the last decade by one of America's most prolific and respected writers, have been previously published in such distinguished venues as the New York Review of Books and Salmagundi. Indeed, Oates's reputation as a serious, incisive writer needs no bolstering; this collection instead reinforces what we already know. Oates's insightful and seemingly inexhaustible commentary alights on an impressive range of subjects. The literary and the lurid go hand in hand in several of the more major pieces, including Oates's well-known New York Review of Books essay on the creative urges of serial killers (""I Had No Other Thrill or Happiness""), and a piece on fairy tales and their female reinterpreters, featuring Anne Sexton and Angela Carter (""In Olden Times, When Wishing Was Having""). Though she claims not to be unduly biased by her gender, Oates does address many feminist concerns, including misogyny in Raymond Chandler's work and the fear of domesticity in Updike's Rabbit series. 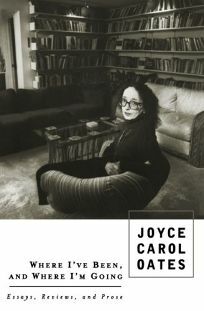 Other subjects include Grace Paley's ""miniaturist art,"" the morality of boxing, the mysteries of P.D. James and Dorothy Sayers and the tragic vision of Joseph Conrad. Despite what one may assume, these earnest pieces are not philosophically dense reading--in fact, some of Oates's more theoretical contentions would not hold up to rigorous traditional critique. Rather, her prose pieces gain their intensity from their laserlike focus on the concrete details of human sensibility. This unwavering focus unites all Oates's disparate topics, but it also gives the book a uniformity of mood and tone. As with most gatherings of occasional pieces, this admirable collection is best read in small doses. (July) FYI: Broke Heart Blues (Forecasts, May 17), Oates's latest novel, will also be released by Dutton in July.